A man is murdered when three soldiers unexpectedly find him at home while they are planting a bomb. After blowing up his house, the young men discover someone has witnessed everything. The ensuing police investigation takes over the small town in Croatia on the front line of the civil war. Sometimes a story must be relived through various viewpoints before the truth can be revealed, and WITNESSES interweaves stories of confronting ethnic hatred and deep moral ambiguities. Croatia. Croatian with English subtitles. 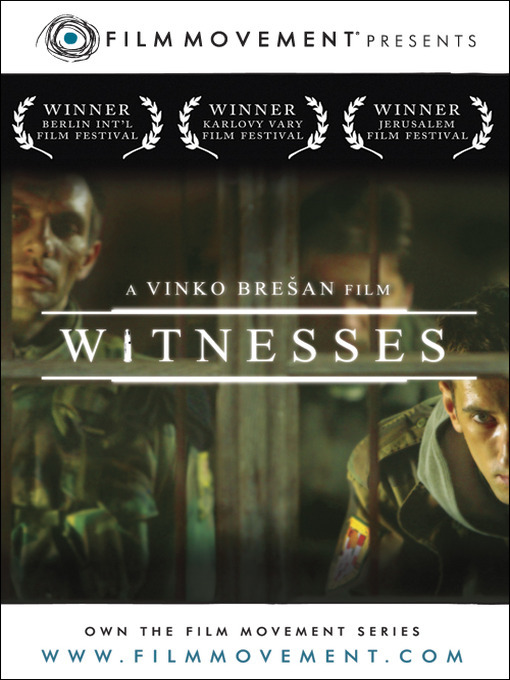 Winner - Peace Prize and Prize of the Ecumenical Jury - Berlin Int'l FF. Official Selection – Karlovy Vary, Jerusalem and Seattle Int'l FFs.